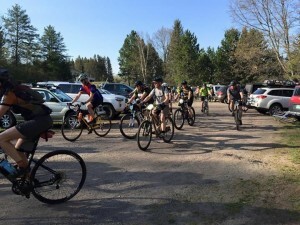 Community Involvement - Singletrack Health P.C. 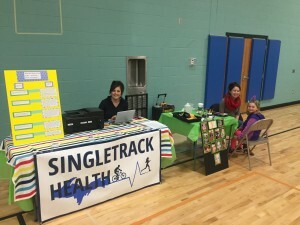 Singletrack Health is involved in many Marquette Community activities that promote a healthy and active lifestyle. Girls on the run inspires girls to be joyful, healthy and confident using a fun, experienced based curriculum which creatively integrates running. 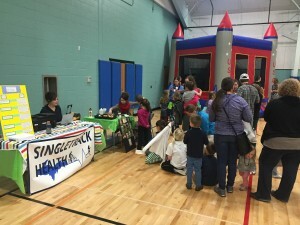 You’ll find us at their end of season 5K celebration Saturday June 8th 2019. We have had wonderful experiences working side-by-side with the ‘Doulas of Marquette’ supporting women to have a safe, positive birth experience. 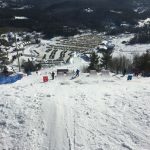 We were able to share that and support them to receive grant funding to allow them to provide their services to women who may otherwise not be able to afford it. 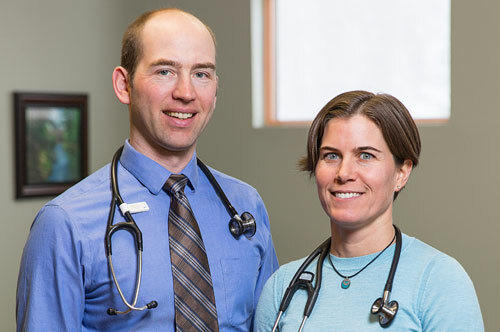 They are amazing partners for us and our patients! We encouraged our patients to get flu shots during the 2017 and 2018 seasons by turning over a portion of the proceeds for administration of the vaccines to Trillium House in Marquette. We donated over $2000 in both 2017 and 2018. Trillium House is a place for hospice patients to live and receive care. 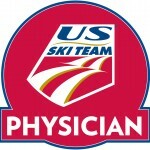 Dr. Chris Dehlin is part of the physician staff that supports the US Ski Team athletes. 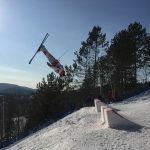 He provides medical coverage for at least one US ski team event annually. 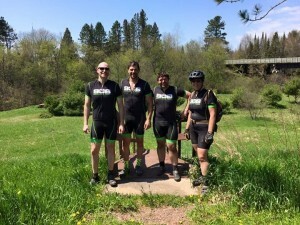 Singletrack Health recently donated $600 to help support the Little Bay de Noc Trail. This 2.5 mile section of trail will be a 10ft wide smooth asphalt surface stretching from the city of Gladstone to P. Road. The waterfront trail will be designed for non-motorized traffic and will be enjoyed by bicyclists, runners, dog walkers, and much more. We believe outdoor recreation helps improve the health of our minds and bodies. You’ll find our Trail-builder marker at the 15k mark of the Forestville trails. 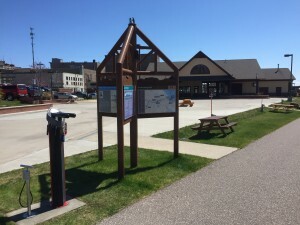 Singletrack Health was happy to partner with the Iron Ore Heritage Recreation Authority and the Marquette Downtown Development Authority to provide a bike fixing station along the Iron Ore Heritage Trail at the Marquette Commons. 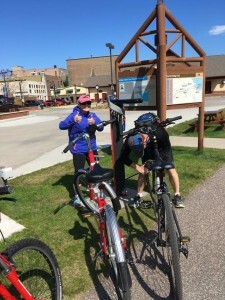 It includes a stand, tools, pump, and a QR barcode that lets you access instructions on your smartphone on how to make bike repairs. 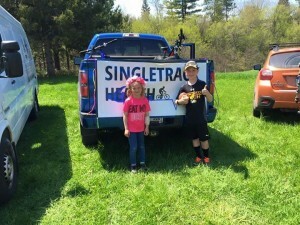 Singletrack Health was an event sponsor for the Sturgeon 100, a self supported 100 mile gravel road race through the beautiful Ottawa National Forest in southern Houghton County Saturday May 21st. 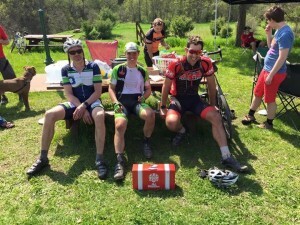 We provided a delicious and nutritious pulled pork aid station at the half way point of the race. 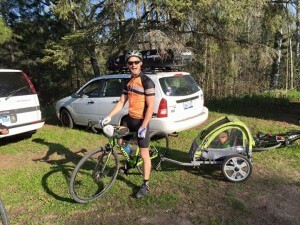 It’s a grueling race – goo packets just aren’t going to cut it! 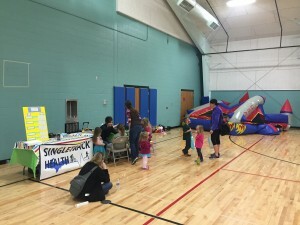 ‘Healthy Kids Day’ at the YMCA of Marquette County Saturday April 23, 2016 was a success! 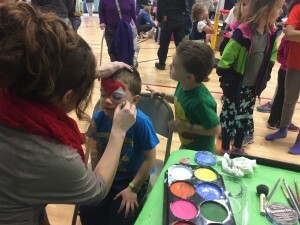 Our booth was quite popular thanks to our skilled artists. 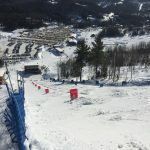 We also support the Noquemanon Trail Network, Marquette Mountain Race Team, Beacon House, and WNMU Public TV 13 (through volunteer host and guest appearances on ‘Ask the Doctors’).